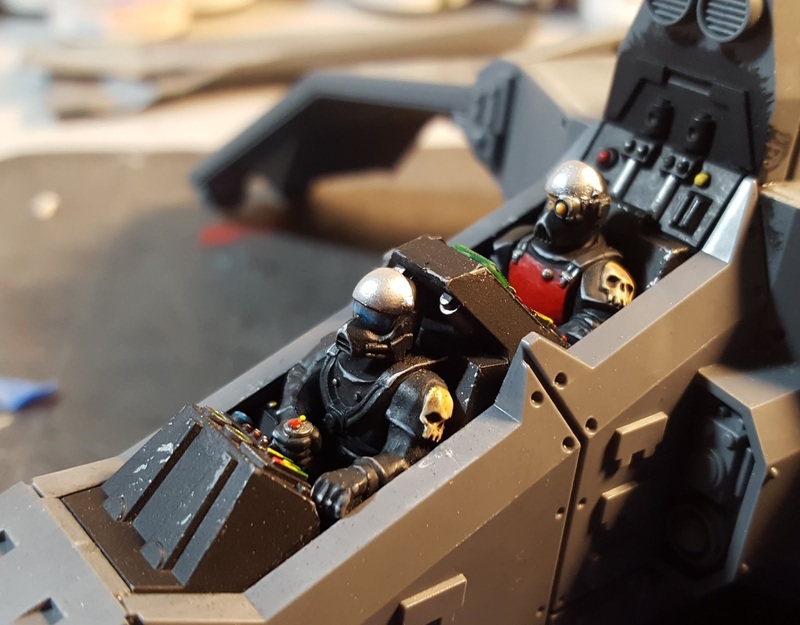 My Ordos Xenos army was in need of a bit of transportation. Among other things, I chose a Valkyrie. Before I could get too far into the assembly or painting I had to complete the cockpit and crew bay first. I began by priming the interior in black and followed that up with a heavy dry brushing of Army Painter gun metal. After that all had tried I applied a couple of coats of AK Interactive's Heavy Chipping fluid with my airbrush. 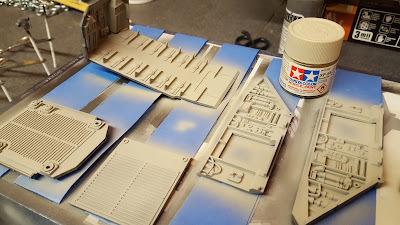 A coat of Tamiya Deck Tan was applied over that. 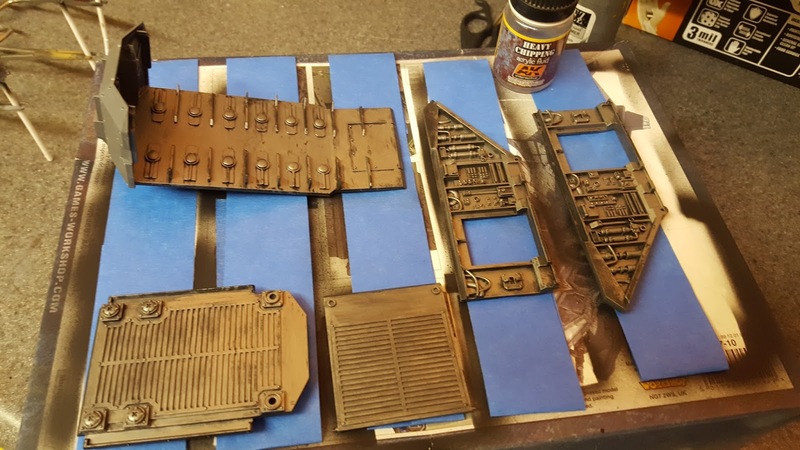 Using a damp stiff bristle brush I wore away the deck tan in areas of high wear. 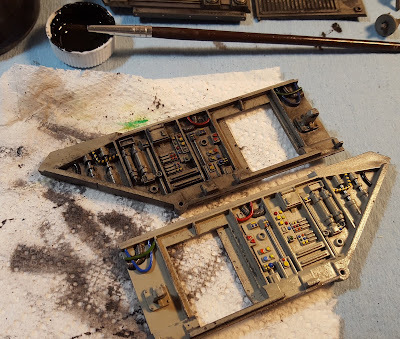 After the details were painted I flowed it all up with an oil wash. 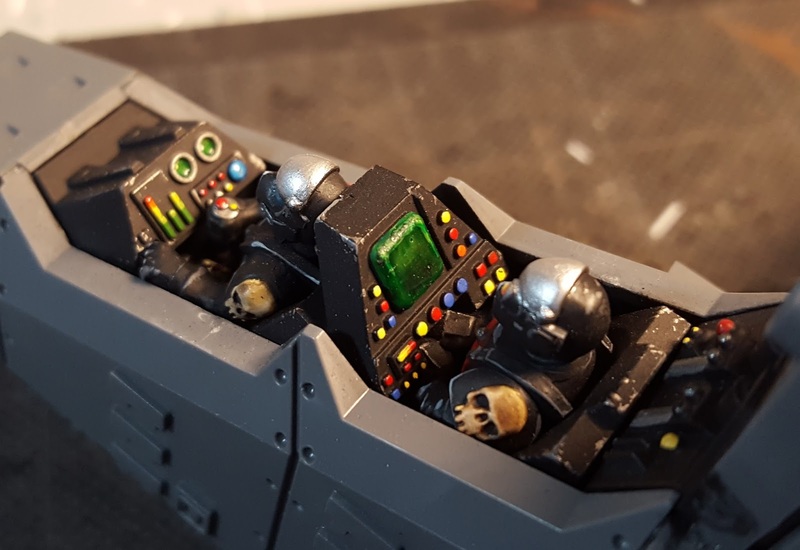 The cockpit was painted prior to being assembled. The Kroot Mercenary I started for my Ordos Xenos army is done! 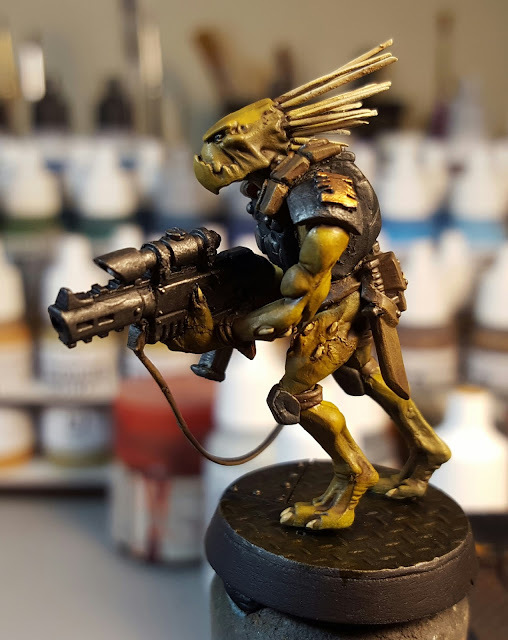 I'm quite happy with how he turned out. 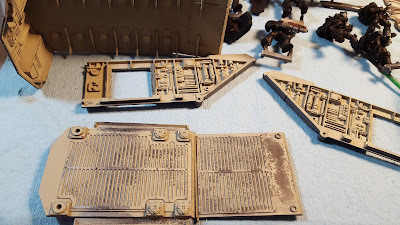 I tried to get a wood grain look on the stock. It doesn't look to bad to the eye but the close up takes a little away from it. 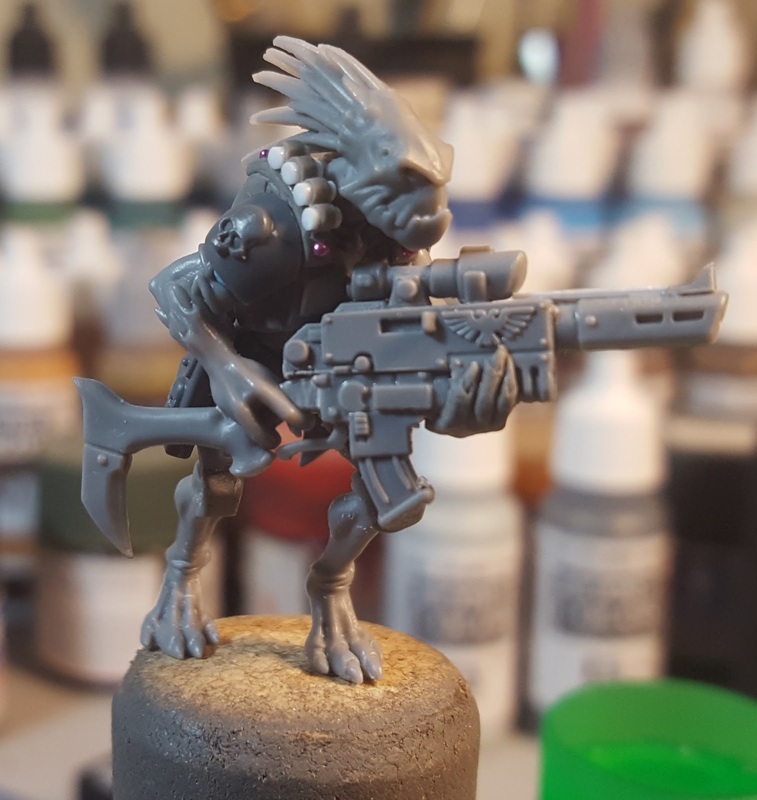 I've seen some pretty imaginative conversions using the humble Kroot. 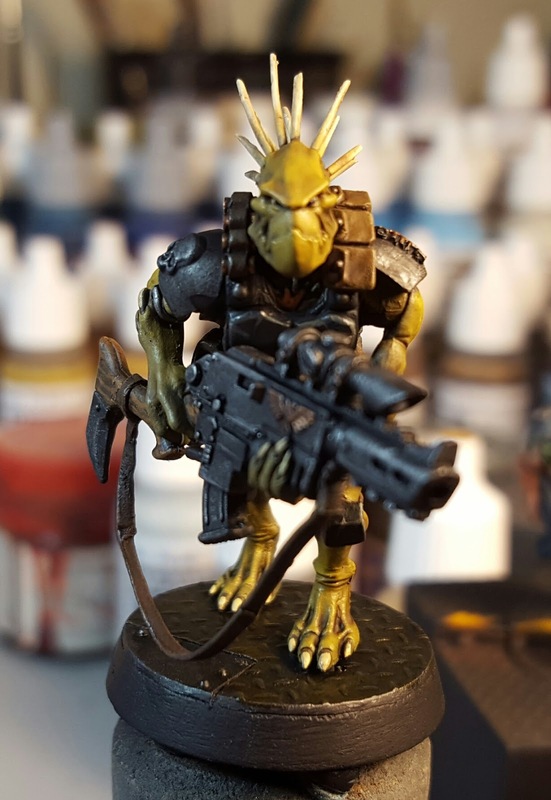 Their role of mercenaries in the 40k universe make them an ideal candidate for such work. 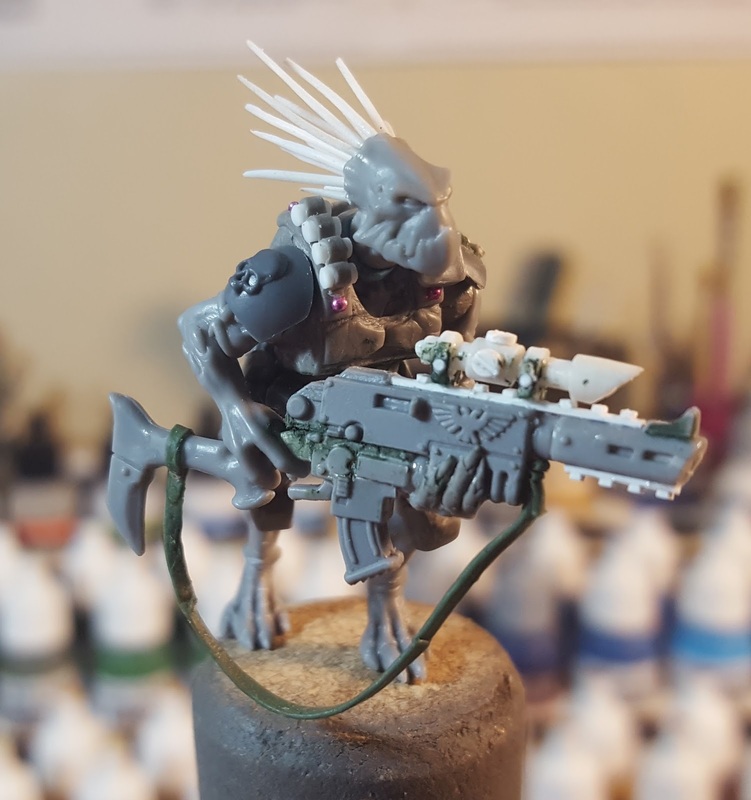 In my case I needed an Acolyte for my Ordos Xenos army. 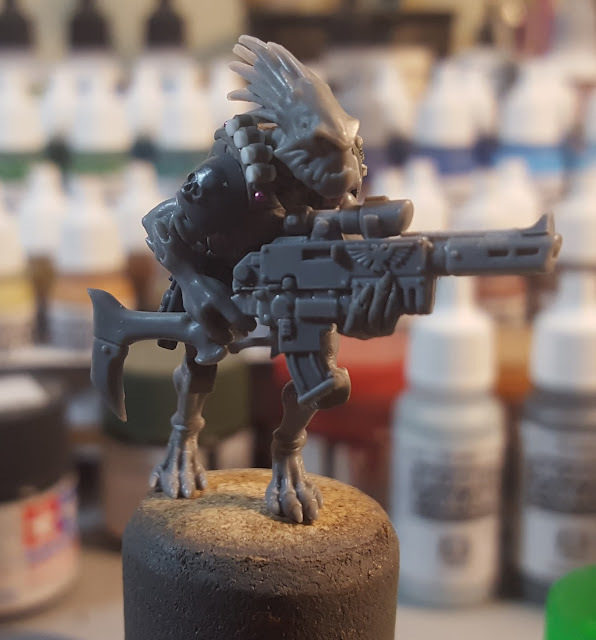 I happened to have a large bag of Kroot lying around that I picked up for a dollar at the local gaming store's annual Gamer's Garage Sale. 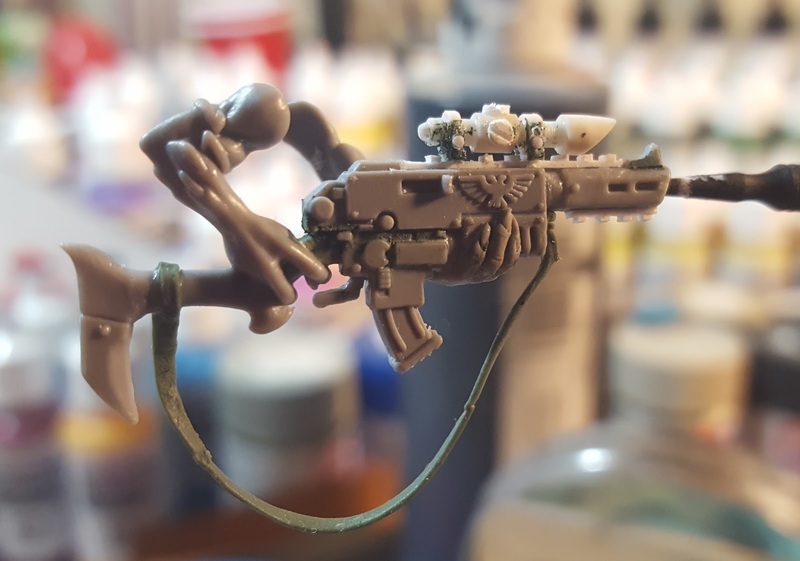 I added several bits from my guard and a spare bolter. 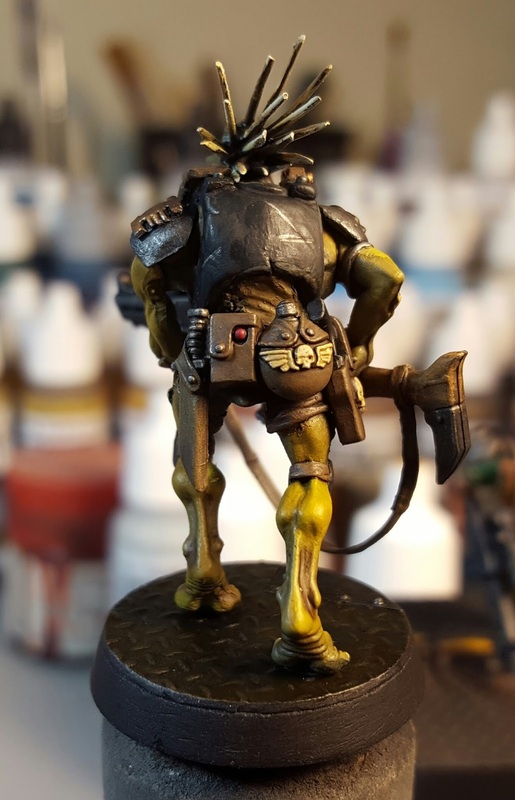 The carapace armor on his torso, and his knee pads were sculpted using pro-create. I also used pro-create to sculpt his had wrapped around the front of the bolter. 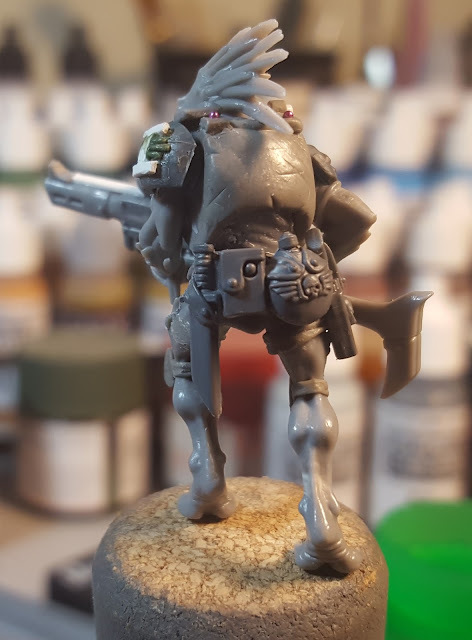 I used micro beads for the snaps on his shoulder straps and polystyrene rod for the bolter shells on his lapel. 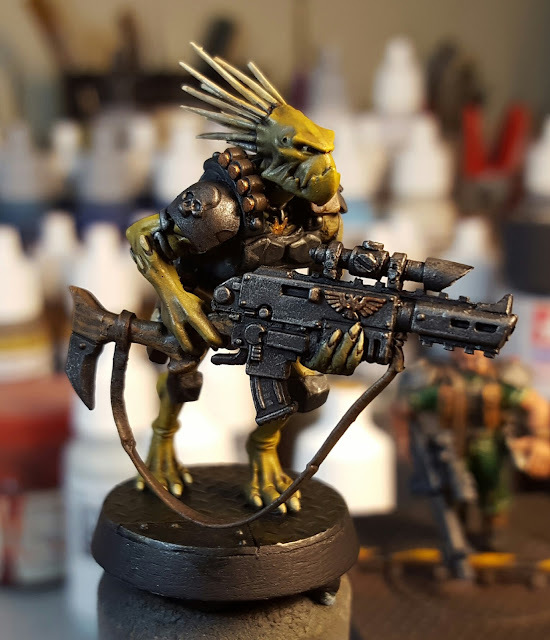 I thought that blending the bolter with the Kroot rifle would be a little more in keeping with the theme. Once everything had been assembled as shown above I thought it needed a few more tweaks. I removed the stock scope, added a couple of Picatinny rails and a scope from polystyrene. The sling is greenstuff. 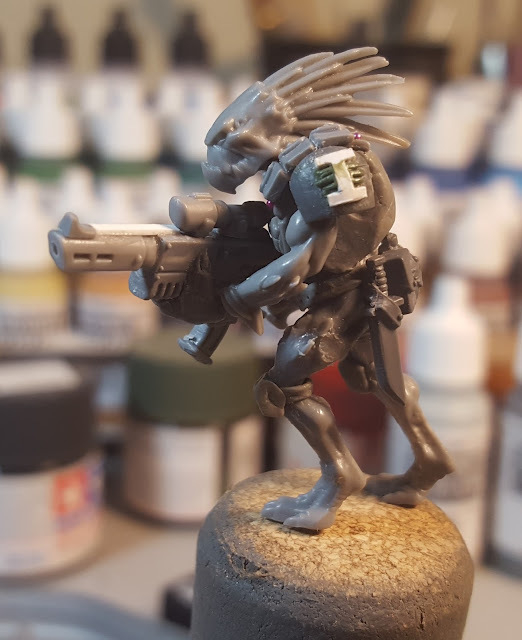 After the rifle was complete I new I had to fix that head of his. I trimmed off his quills, drilled holes into the top and replaced the quills with ones made of polystyrene rod sharpened to a point. Pictures of the finished model coming soon! 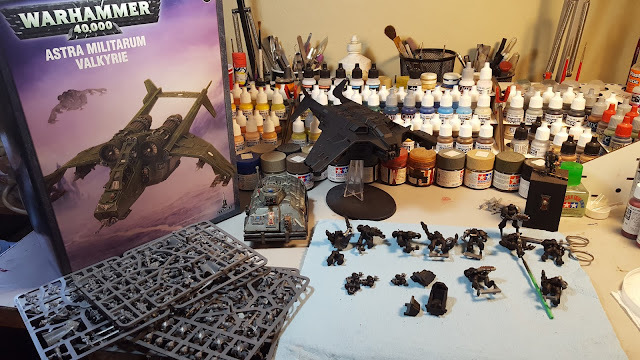 While it may not make for a complete army in it's current arrangement I plan on swapping some of these units in or out as the games require and, since the Inquisition can requisition anything they want, I imagine my Inquisitor will be frequently calling upon the assistance of the Tanith and Space Wolves. 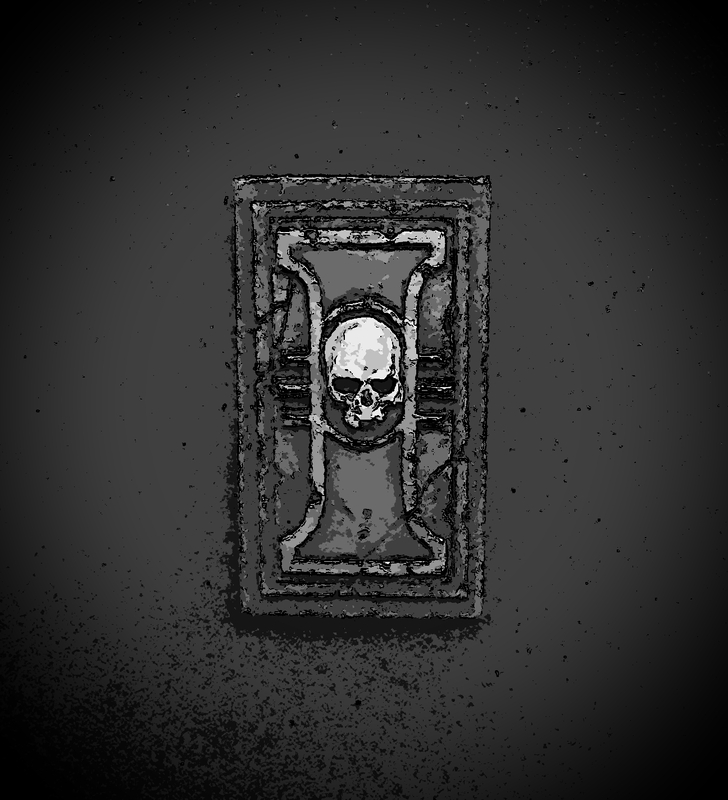 I hate to come back after two months with only a teaser but I promise there is more coming very soon. 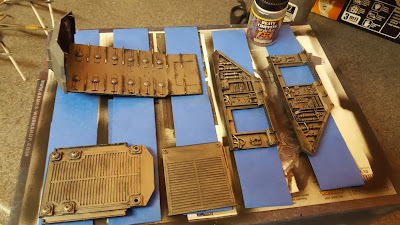 I've been dividing my time over the last two months between my hobby desk and a home remodel. I've got a model or two done to share with the interwebs, a bit of work on some others, a couple of model conventions to report, and a new army in the works, Stay tuned!